What’s The ROI On The Coaching Revolution? The answer to this question is incredibly simple: It depends…..
‘It depends’ is the most maddening answer in the world, isn’t it? Rather than leaving you gnashing your teeth, let me explain what I mean. Which Investment Do You Mean? Are you simply referring to the investment you might make in mentoring from The Coaching Revolution? Or do you want to include the investment you made in your coaching qualification too? Do you regard your coaching qualification as an asset – from which you will earn an income, or a liability – which is a debt to be repaid? Are there other costs you want to include in the idea of investment? If so, what are they and how much are they? 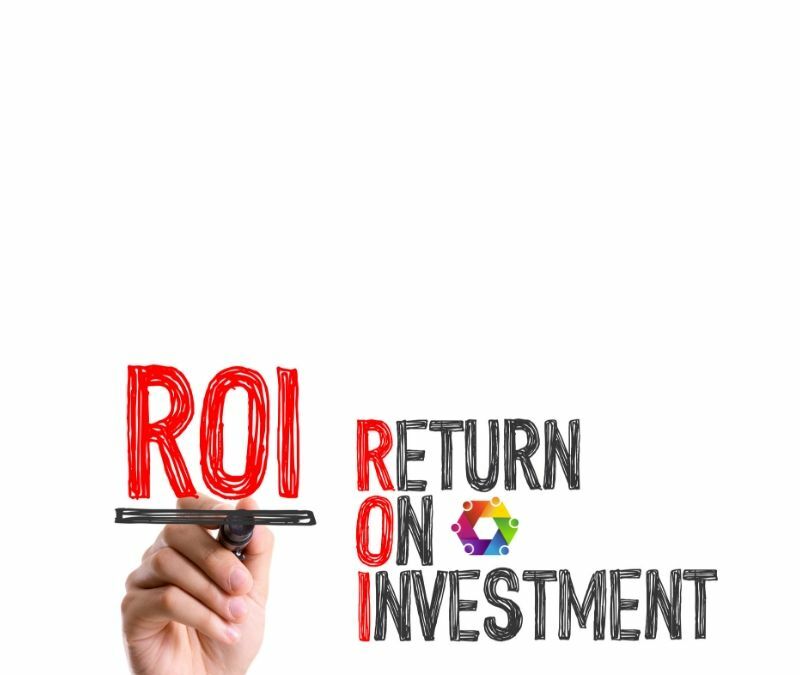 What Do You Mean By ROI? It would seem to be the case that ROI meant one thing to everyone, right? However, that’s not true. To some, ROI means; how long will it take me to recover the money I spend with you? To others, it means; how many times the money I spend with you, can I make in income? For the purposes of this article, I’m going to assume that we’re all talking about the first definition. If you’re simply wanting to understand ROI on the money you spend with mentoring from us, the answer is still ‘it depends’, but I can give you a bit more detail about what it depends on. How much time do you have to spend on your coaching business? Are you an action taker, or an action talker? If you want to coach executives, then it’s not unreasonable to command fees of circa £500 per session. If, on the other hand, you want to work with new graduates, then your fees will be much lower. Fees are based not only upon the value you offer, but also upon what your client can bear. Execs have much more money at their disposal than your average graduate. At £2950 (the cost of our mentoring), you’d need to deliver 6 sessions to an executive client – so that’s a single client, but perhaps 29.5 to new graduates, which could be 3 – 5 clients. How much time are you going to spend on your coaching business? If you have a full-time job, and you need to grow your coaching business around a demanding career, then the work you need to put in is going to have to fit into your available time. If, on the other hand, you don’t have any other time commitments, then you can get the initial work done more quickly (the work needed to develop your unique marketing message, targeted at your ideal kind of client). The full-time worker may have to take their mentoring sessions every 4 weeks in order to be able to get the in-between session work done, while the person with lots of spare time might be able to have them weekly. The sooner this ground work is done (developing your targeted marketing message), the sooner you can market yourself as a coach and the sooner you’ll get clients. Are you an action-taker or an action-talker? If you are someone who is good at doing the work, you’ll get the ground work done. If you’re someone who is good at talking about the work that needs to be done (and not so good at actually doing the work), then you won’t get the work done. Without the ground work, you won’t develop a continuous stream of enquiries. Without those enquiries, you won’t get clients. The fastest that anyone has recouped the cost of their mentoring is after their second session. This coach had his first two sessions and then signed his first client up on a 12 month programme, at £2000 per quarter. Another coach had all the clients she could handle (and had to start a waiting list!) after 5 sessions. She’s someone who was working full-time when she joined us, so was time-poor. Yet another coach joined us with a goal of earning £3000 pm and is now earning £5000pm. He’d returned his investment in 3 months. So you see, what the ROI is, depends on what you count as investment and what time/effort you have to commit. Want to talk to me about how this might work for you? This is my diary.